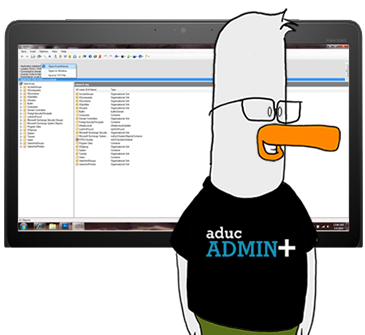 aducADMIN+ is a powerful management tool for Active Directory. Built from the ground up by SysAdmins of large-scale networks. aducADMIN+ allows network administrators to properly manage, maintain, report and correct issues that come up inside of Microsoft's Active Directory. The software is designed to help reduce costs, increase efficiency, reduce errors and scripting as well as help you easily track and manage users and groups across vast networks of thousands of computers. 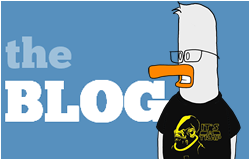 This week on our "How To Series" we look at how aducADMIN+ helps you find out which members of a mailing list have different permission settings - and how to fix it. 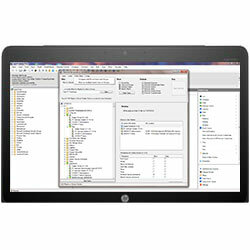 File system rights can become very complex and messy over time. 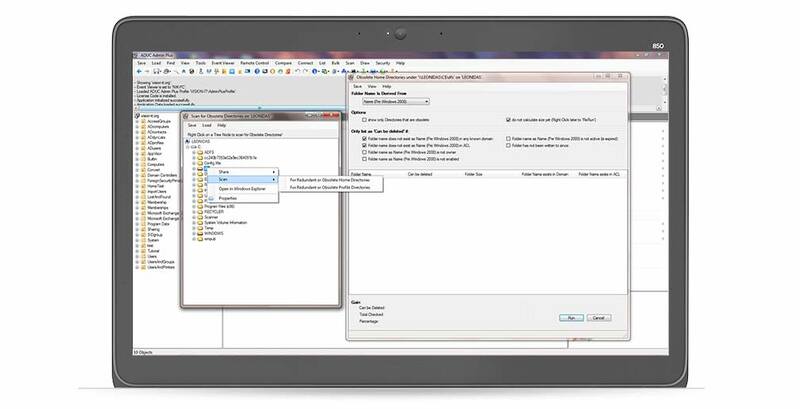 With aducADMIN+ you can retrieve the effective rights of any user or group on your file systems. It's a powerful feature that helps you clean up your file system security structures. You can also back up security information to XML for later consultation. Each time you add a user to a security group, his or her access token size is increased. If the token becomes too large, authentication fails. aducADMIN+ allows you to detect bloated Access Token problems before your users find themselves unable to log on to your network. 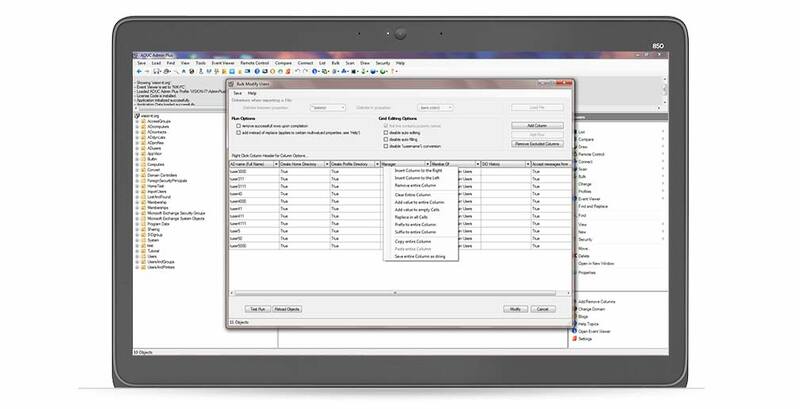 With the Bulk Import function you can import multiple users, groups, contacts, computers or organizational units at once, including homes and profiles and group memberships. You can directly load objects to the bulk function, or load a data set from a TXT file. Even if you are fairly certain that a user account is no longer used, you probably don't dare throw it away. With aducADMIN+ you can scan your Active Directory for redundant users and computers. You can scan on the LAST LOGON, the LAST LOGON TIMESTAMP attribute, or both. This feature provides absolute certainty about redundancy. People make mistakes. There is no way around it. The Roll Back Feature in aducADMIN+ allows you to undo any change made with our software, in an intuitive and deceptively easy way. 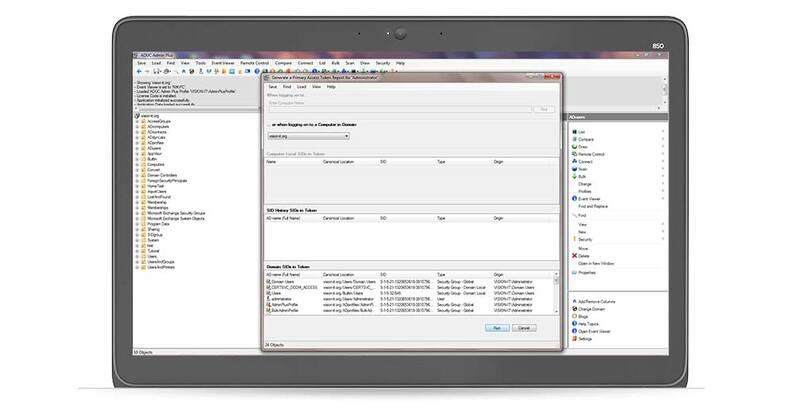 Every change you make with ADUC Admin Plus to your Active Directory or network environment is logged to an event viewer log file of choice. And can be Rolled Back from that event viewer log file. aducADMIN+ WILL save your organization time and money. 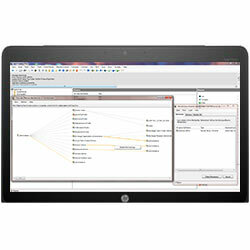 Our software DOES NOT interfere with any of your networks pre-set security or adminstration levels. You can only asign tasks and delegate within your current security levels. It also does not interact with any outside networks. It is fully secure, and only improves your overall network security. Home and profile directories are not always deleted when an employee leaves an organization. With aducADMIN+ you can scan your file servers for obsolete Home and Profile directories. This can save a lot of disk space, and, more importantly, a lot of data backup expenses. In most organizations a lot of tasks depend on security levels rather than complexity, which means that relatively simple tasks can only be performed by relatively highly paid or skilled employees. aducADMIN+ allows you to safely delegate tasks to your help desk or end users. aducADMIN+ allows you to scan your entire network in seconds, and find out on which computer a certain user is logged on. No more seperate computer/primary user databases, no more placing stickers on computers, or have your end users search for tags on the most impossible places. aducADMIN+ offers realtime info on who is logged on to which computer! It's not always easy to know what information is relevant or not. So sometimes it's useful to just browse until you encounter useful information. aducADMIN+ facilitates just that. It can be run on the spot and does not need to be installed. 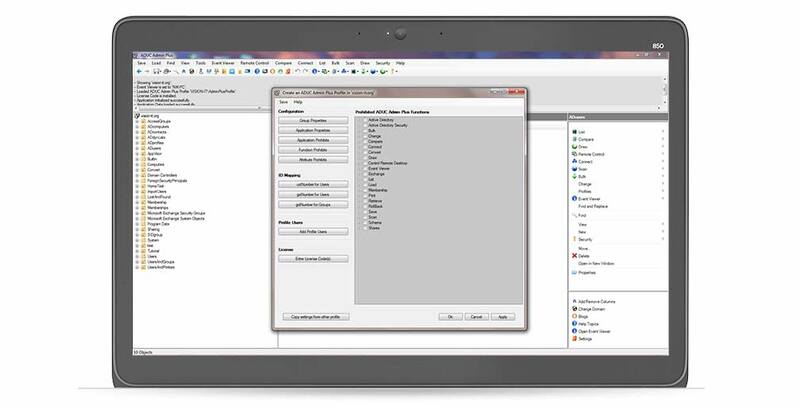 Any subset of gathered data can be exported to TXT, Excel or bitmap. Or you can send it directly to your printer. Our software isn't made to look fancy - but it works. An aducADMIN+ license is a LIFETIME license that only needs to be purchased once. Depending on the size of your network - we provide Bulk pricing discounts for larger networks. Have a need for more than a 50 seat license? No problem. Once you've taken the demo for a spin, get in touch with our team to talk about larger license packages. 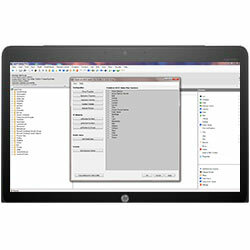 We offer, FREE, 14 day trials of our software package. You will have FULL funtionality during the 14 days to see if this software is really right for you. We offer flexible pricing based on the number of licenses needed within your organization. Discounts are available for Educational and Non-Profit institutions. 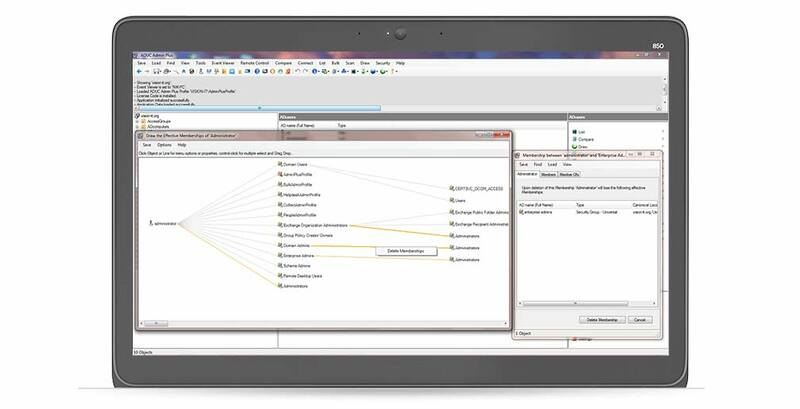 Interested in knowing more about aducADMIN+? Contact us and we'd be happy to follow up with more details or to speak with you on the phone.